Please read our policies carefully before browsing and purchasing from our site. At Euram, we respect your right to privacy. Any information about you will remain confidential. We will never sell, share or trade your details to third-parties unless required by law. Any personal details you provide to us, including your name, contact and payment information, will only be used for the intended transaction and/or communication purposes. In fact at Euram, we do not store any of your credit/debit card information locally; this is handled completely via by a secure and encrypted payment gateway. Euram Australia uses the analytic tools Google Analytics and Zopim Live Chat software. Using these tools, we may track, collect and aggregate data such as sales figures and trading patterns for statistical purposes. We will not use any information that could possibly personally identify an individual (e.g. your name, email and billing details). Our servers may automatically collect information such as your computer’s IP address, browser type, the pages you visit and the duration of time spent on those pages. This data will not be used in association with any other personal information. – Items returned must not be worn and be in new, original condition (with original packaging and tags). – Unless stated, the cost of returning goods and redelivery is your responsibility. We are not accountable for returned items until they reach us. – In very few cases, we may charge a small restocking fee to cover administrative costs (e.g. credit card processing fees, subsidised shipping costs we provide to you, etc.). We will notify you if this happens. – Special/custom orders and clearance items can be returned if there is a fault. However, they cannot be returned for other reasons. Wrong size? Exchanges are given within ninety (90) days of purchase by contacting us first. From there, we’ll ask for a few extra details. We provide refunds if there is a major manufacturing fault (or as required by law). Every Euram product is checked for quality. However if there is a major manufacturing fault, we will provide a full refund of the price of the item. Alternatively, the product can be exchanged or repaired (if possible). For minor manufacturing faults, we will provide a refund, exchange or repair (at our discretion). We will cover additional shipping costs for returns related to legitimate product faults. If you need to cancel your order, please contact us by phone as soon as possible. Cancellation will be decided at our discretion. If we decide to accept the cancellation, a refund will be given, less any restocking fees (and shipping costs if applicable). If the product has already been dispatched, you are responsible for sending the item back to us. Because sheepskin is a natural material, please note that there may be slight colour or skin variations than the product displayed. However, there is no difference in high quality standards and workmanship. These reasons and/or other assumptions made by you are usually not accepted for the basis of exchanges or refunds. We also do not offer refunds if you change your mind. If you find ugg boots that are of the same quality at a cheaper price, feel free to contact us and we’ll see what we can do about price-matching. However, no guarantees are made for exchanges, refunds, cancellations, returns or price-matching. We sell only the highest quality products at Euram, so we’re sure that you’ll be satisfied with your product. We abide by Australian Consumer Law, and recognise automatic consumer guarantees, and also your rights to a refund, replacement or repair if your product does not meet standards. So if you have any issues with your product, simply contact us and we’ll do our best to rectify the issue. Below are the minimum guarantees that we will abide by. All Euram products are guaranteed to match product descriptions. They are safe, with no faults and long lasting (taking into account the type of product and cost). Any additional promises about the condition or quality of goods are also met. If for any reason these points are not met, please contact us to file a claim. If needed, claims can be lodged in a reasonable period of time (as outlined in our Returns Policy). If there is a minor fault with your boots (there shouldn’t be because we have quality checks), we will gladly repair the item, free of charge (or replace or refund at our discretion). In the instance of a major manufacturing fault, we will offer you a replacement, refund or repair (if available). As defined by the ACCC, a major fault is where the product unsafe, it is significantly different from the sample or description, it doesn’t do what the business said it would, or what you asked for and can’t easily be fixed. Listed prices and offers on this site may differ from those at our store-outlets, and unless specifically stated, apply only to our online store. This is due to added costs associated with operating a web store. Euram Ugg is a registered business name recorded on the Australian Securities and Investments Commission’s (ASIC) register under section 33(8) of the Business Names Registration Act 2011. Euram is based in Australia, so international parcels will be sent from Australia. Please note that in Australia, “ugg” is a generic term to refer to sheepskin boots and slippers. We are in no way affiliated with the American company Deckers Outdoor Corporation and their “ugg” brand, nor do we sell their products. When you see the words “ugg” on this website, we’re simply referring to our Australian made sheepskin footwear. For all international orders, the branding for your products will be slightly different. 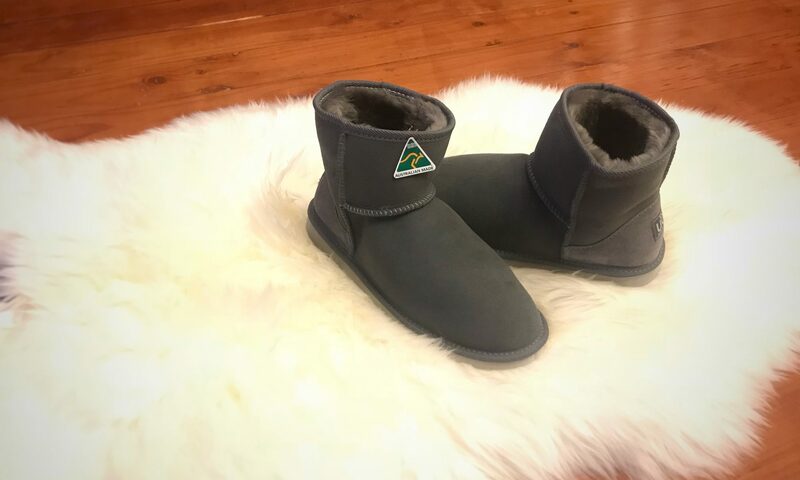 Instead of our “Euram Ugg” branding, products sent overseas will feature our “Euram Australia” branding, which is a registered trademark that is designed for international markets. When you browse our website, please also note that all prices are stated in Australian Dollars (AUD), so fluctuations may occur because of exchange rates. During checkout, you will be able to checkout as normal, with the price being converted into your preferred currency. Generally, international orders take a bit longer than Australian orders to be delivered. Although we use premium options such as Australia Post’s Registered Post and Pack and Track services, shipping may still take up to 20 business days. For more international shipping information, please visit our Shipping Rates page. Taxes and tariffs do vary from country to country, and are enforced differently in different regions. Thus, international taxes have not been factored into our prices. Any import duties that are incurred are therefore the responsibility of the customer. Euram Australia and this website is operated and based in Melbourne, Australia and as such, use of this site is governed by the laws of the State of Victoria. Any legal proceedings relating to Euram Australia and this site will take place in Victoria. Euram Australia and Australia Sheepskins and Souvenirs have the right to add, modify, delete or correct aspects of this site. It is your responsibility to be aware of these changes.